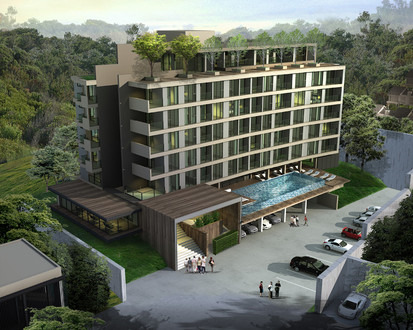 Phuket-based developer Wealth Land recently recently announced that construction of its latest luxury condominium development Dinso Residence will soon be underway. Located a stone’s throw from the heart of the Thai island’s Patong town off Na Nai Road and 10 minutes from the beach, the low-rise development will comprise 60 fully-furnished units, ranging from studios to two-bedroom apartments. The 26 studio units vary in size from 31 sqm to 36 sqm, while the four different types of 32 one-bedroom apartments range from 45 sqm to 53 sqm. A pair of two-bedroom spacious penthouses occupy the seventh floor. Facilities within the property, which is set against a backdrop of hills, include a swimming pool, recreational green space and sauna and steam room. 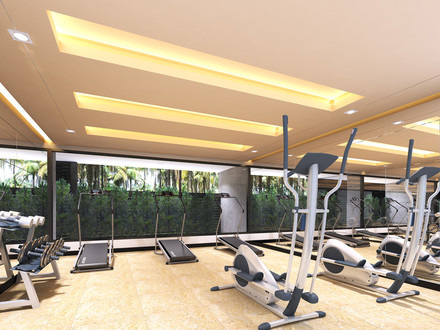 Owners will also have exclusive access the resort amenities such as restaurant and sports facilities as well as discount and special rates for selected outlets. 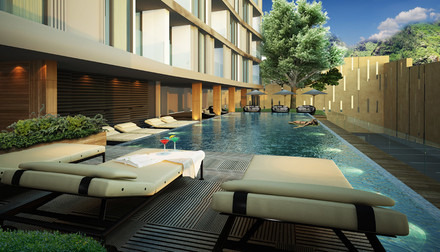 The development, which is due for completion in Q3 2015, is also conveniently located close to the three-storey Banana Walk shopping complex, Patong’s renowned Walking Street and Patong Hospital.